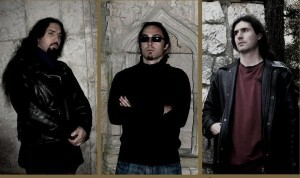 Under the guidance of French guitarist/vocalist Guido Saint Roch and his La Guilde De La Malabeste, YSENGRIN play what they call hermetic dark metal: esoteric, occult music that reminds of a Middle-Age of metal when there were no boundaries between its sub-genres, and spontaneity and attitude were the most important values. With their elegant yet primitive style, YSENGRIN capture the essence of early 90s Hellenic black metal as well as Mortuary Drape’s morbidity and death fascination, dipping everything into the doomy, 70s-tinged heavy metal of Death SS and Mercyful Fate. 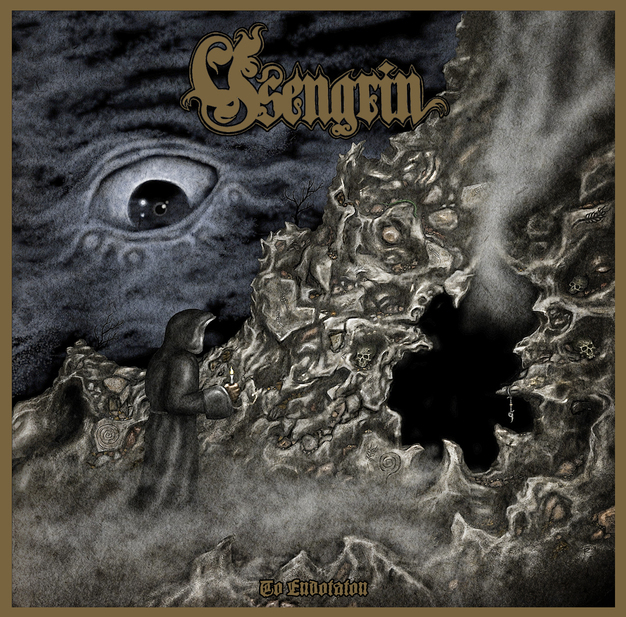 Graced with a cover painting by reknown Finnish artist Turkka G. Rantanen (Adramelech, Demigod, Depravity, Demilich and many others), YSENGRIN’s third full-length,”To Endotaton”, is a conceptual one-track album of 40 minutes that describes an initiatic rite taking place in the dark meanders of a cavern. Sometimes cryptic and melancholic, other times triumphantly epic and darkly psychedelic, enriched with delicate acoustic passages, sumptuous guitar solos, eerie keyboards and deep growls, “To Endotaton” is the allegory of a mystical journey through the deepest recesses of the soul, in search of “la Lumière qui surpasse touts les lumières”, the Light which surpasses all lights.